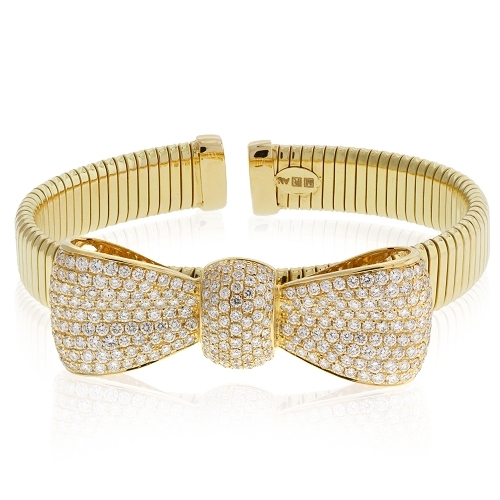 Diamond bow bangle in ridged18kt yellow gold. Diamonds approx. 4.62ct.